There are numerous interesting things going on around the life of each individual. Therefore, emotions, thoughts, personality, understanding ... of every person is different, make up ego very particular and unique. And Blog is a place helps ego to shine. Instead of writing the diary, you should use a blog and write all the things that you want to write. You are a passionate reading and want to share feelings after reading each book Let’s write Blog. You are a social activist, wanted to help the children with difficult circumstances? Let’s write Blog. You are a homemaker, wants relieve boredom everyday life Let’s write Blog. Or simply you are happy, suddenly love life. Let’s write Blog. You imagine Blog as a newly born child, you want to turn it into how people are just very creative and do what you want. Each passing day, we should learn something news. And the blog give you extra motivation. Limited knowledge blog will become barren and boring. Always write also exhausted the idea. So, when you start a blog, you will find yourself always learning new things about their field of interest, helps improve their knowledge and continue to share many interesting things. The ability to think clearly and create ideas is one of the most important skills of life but perhaps ill lazy thinking it did not land to alive . Blogging helps you fill that void, to help you develop muscle think exponentially. To get an interesting post and understand. You have the idea, choosing the topic, main idea implemented, making the case, arguments, examples, illustrations ... how to make posts lively, easy to understand and express the right thoughts mine. This is not easy, right? Many beginners hesitate to Blog. Do not know how to write?, write something? ... you feel too difficult so giving up. Do not be like that, the first post will certainly difficult, but to 2, 3 ... n post, everything seems so easy. In short, let's share everything useful to help people and helps society increasingly better. Readers will surely thanks you.That wonderful!. 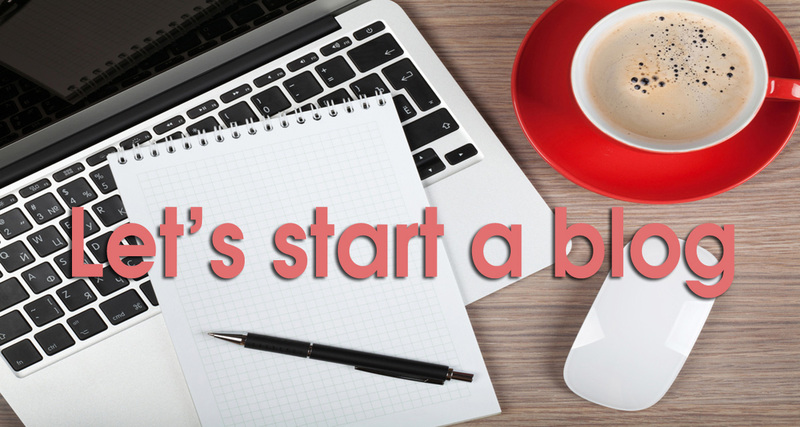 You can start with a blog without spending too much cost. For me personally, Blogspot is the optimal choice. Within 15 minutes, I already own a blog now and it absolutely free. If you do not like Blogspot, you can use other platforms like Wordpress, Tumblr, Medium ... All expenses not exceeding $ 75 for a sample website with the domain and hosting. You also do not need to have knowledge of HTML, CSS or Javascrips. It's very simple and easy to use. If you want your blog more professional section, you can use free templates or references here. This is wonderful, is not it ?. you just go play and just to earn money, it's happy, right? Blog helps you do it easier. There are many blog earn millions of dollars per year. I believe you will be among them. All the best! For me, blog is a adorable brainchild. Every day, I have more joy and motivation to learn new things, share the interesting things about life, about the experience, the knowledge that I have been ... I know I have an audience loyal and they're waiting for me to share the fun. Then I'll grow old and return to dust, but the value I bring to everyone who will live forever with time. I will always live in the hearts of readers and blog lovers community. I hope you will agree with me on this! Sure, everyone in the world can visit your blog is easy, just go to the internet and find your address www .. There are many who visit, you will have the opportunity to do acquainted with many new friends. Opinions, comments on the blog will help you write better, more fun and more motivated. This is the 08 main reason make Blog becomes wonderful. Besides, there are so many things blog more exciting as: Increase sales, increase personal brand awareness, increase traffic for sites, gives you confidence and create more value for themselves and the Social, life gives you freedom, more comfort ..
Let's start with a blog and create value today!